Returning uncultivated land into thriving agricultural fields is a process that takes several key stages. 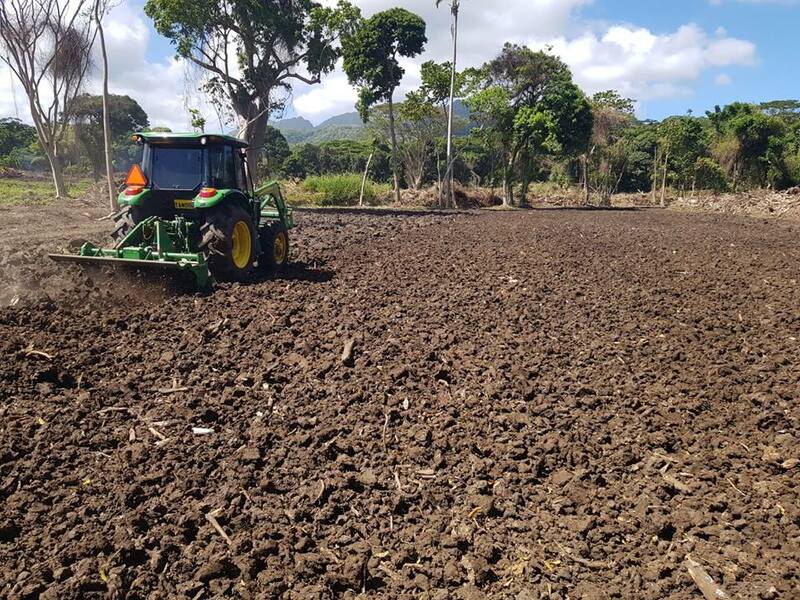 We’ve laid out below the full CaneCo process, a full overview on how we establish our clean, disease-free cane varieties on unique farms across the island. It’s important to remember that out strategy is not to deal with virgin land, but to take back what was once-cultivated ground. Once we’ve signed a lease with a new land owner and fully surveyed the site, we must first clear it. We use a combination of a bulldozer and our 26-ton Hyundai excavator to clear and level the fields. An important part of our strategy is that we leave any fruit trees and mature trees still standing. In fact we go beyond that – we have an existing relationship with the ministry with respect to conservation, so that we can ensure any plants that require re-locating or re-planting are moved. The second step is always to drain the land and we try to reinstate old estate drains where possible. It seems the old land owners knew what they were doing – so we aim to keep the water where it has always been, which creates an efficient path for the water to follow. When it rains hard, we want the water to flow into our drainage network so as to cause minimal soil erosion. All our ditches then find their way to a river and then naturally flow out to the ocean. Investing in drainage mean we have less waterlogged soils and we can get back on the fields sooner after a rainstorm. The next stage is a process called subsoiling. A subsoiler is a tractor-drawn implement. Our subsoiler has three vertical legs, which have feet like wings on the bottom. 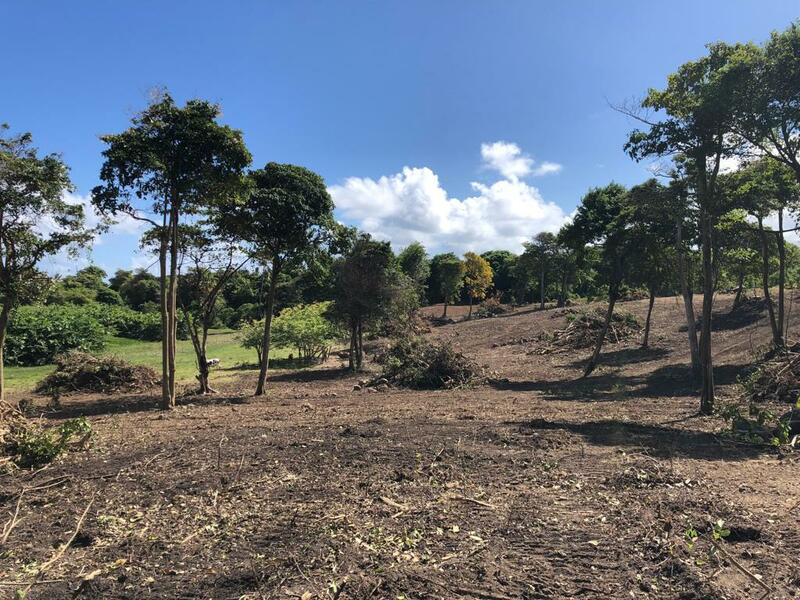 We subsoil the fields to alleviate any soil compaction caused by the heavy equipment used during land clearing. This is done by restructuring the deeper soil level. The subsoiler wings are attached at a specific angle in order to slightly lift the soil as it passes through it and in doing so crumbles any compaction. Removing compaction from the soil improves its permeability, which allows the water to be more accessible to the root systems – and that will improve both root and plant growth. But first we have to dig a small pit to establish at what depth the compaction lies. We must then wait for the right weather window to go subsoiling, because the soil has to be be fairly dry. We use a disc plough rather than the traditional moldboard plough as it’s better at coping with roots, sticks and stones. Essentially the discs ride over any obstacle rather than getting tangled up with them. The plough discs run at an angle to the direction of travel across the field, which allows the discs to cut and invert the soil. 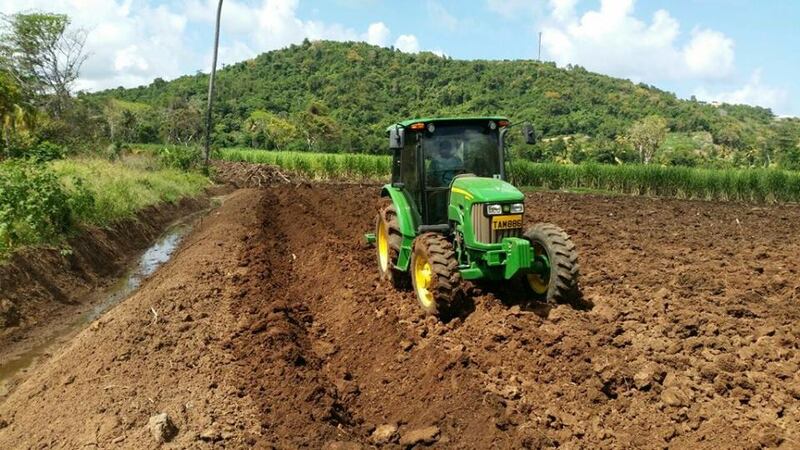 This buries weeds, preventing them from establishing – and that means less competition to our sugar cane plants. Turning the soil over also helps to remove any diseases that could be in the top soil. Ploughing leaves a rough and cloddy finish so we have to crumble the clods and level the field with a disc harrow. This gives a great seed bed for the cane plants to establish and to grow. To improve on the finish left by the disc harrow and to give the sugar cane the best possible start, we use a rotavator. Powered by the tractor, it has a series of rotating blades that chop up any soil clods. 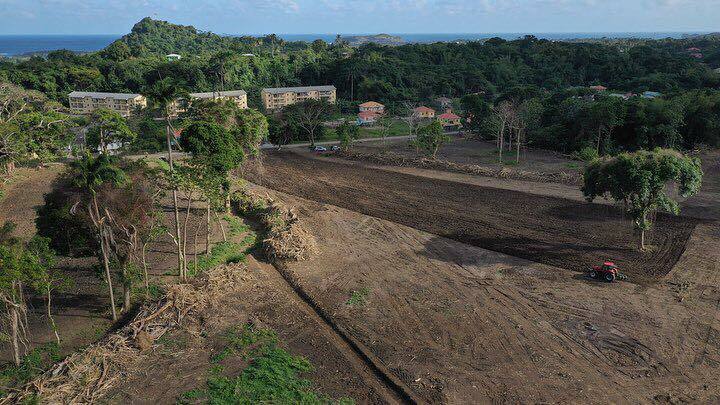 The final stage before planting is to ridge the land, cutting a series of parallel channels through the land in which we lay our billeted sugar cane planting material. The ridges also contribute to good water management. In the dry season, water is funnelled down the ridge to the cane stools. Of course, the same happens in the wet season, but the ridges help to shoot any excess water into our drainage system. We always ridge our fields with the contours of the land. This practice anchors the soil in place and helps prevent the soil from slipping down the slopes when there is an excessive amount of rain. 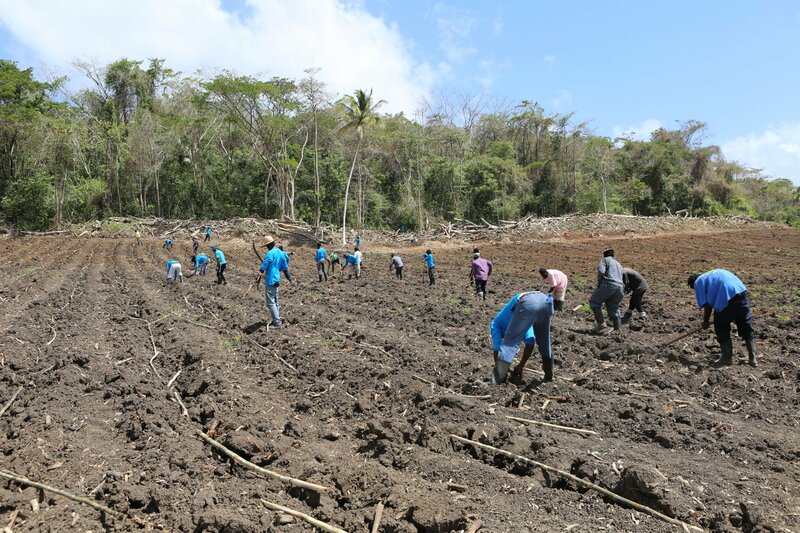 By planting our cane in straight ridges it helps to organize the fields for the processes to follow – spraying, weeding, de-trashing and harvesting – and will make these tasks more efficient.